Those looking for South Carolina commercial real estate listings will be interested in learn that the population of the state has grown by 15.3 percent since 2000. Further, South Carolina's gross state product in 2008 was $153 billion. According to the 2010 Census, Columbia is the largest city in the state with a population of 129,272. South Carolina commercial real estate listings will also be found in North Charleston, with 97,471 residents, and Mount Pleasant with 67,843 residents. A good part of the state's economy is based on agriculture, and its rural commercial land is based on forestry, poultry, peaches, tobacco, cotton and soybeans. Industrial space in South Carolina is based on items like wood, pulp, steel, chemicals, and machines. Military, nuclear facilities, and tourism also make up some of the state's economy. Large corporations with their headquarters and office space in South Carolina include Piggly Wiggly, JM Smith Corporation, Milliken and Company, and Southeastern Freight Lines. 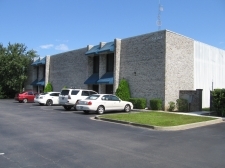 For Lease: 4,000 SF of flex (office/warehouse) space comprised of approx. For Lease at Moose Park in Murrells Inlet. Premier 2,400 S/F office/warehouse space in an established Seaboard Industrial Park. Attractive two story mix use space available. Grand Oaks Village is a new multi tenant retail development at the corner of Maybank Hwy. and St.
Also for sale at $895,000.00. +/-0.315 Acre. Single or multi-tenant user. Newly Renovated 1,100+/-SF Office/Retail Space on .62 acres with On-Site Parking. Zoned C-2 Greenville County T.I.